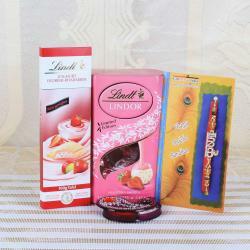 Product Consist: Lindt Erdbeer-Rhabarber Chocolate (Weight: 100 gms), Lindt Hello Chocolate (Weight: 100 gms), Kundan Rakhi along with Roli Chawal Container. Completing the day with sweet in the small basket give prosperity and health to your brother. 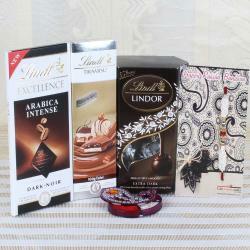 You can share love and affection with Kundan Rakhi with this Chocolates Hamper. It will make you celebrate the occasion to be exclusive. 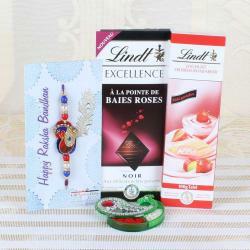 With the gift, your brother receives joy of this rakhi festival. It is one of the most fail-safe gift options for this celebration. There are several gifts available in online, but this gift make unique than others and increase the strength of your relationship. 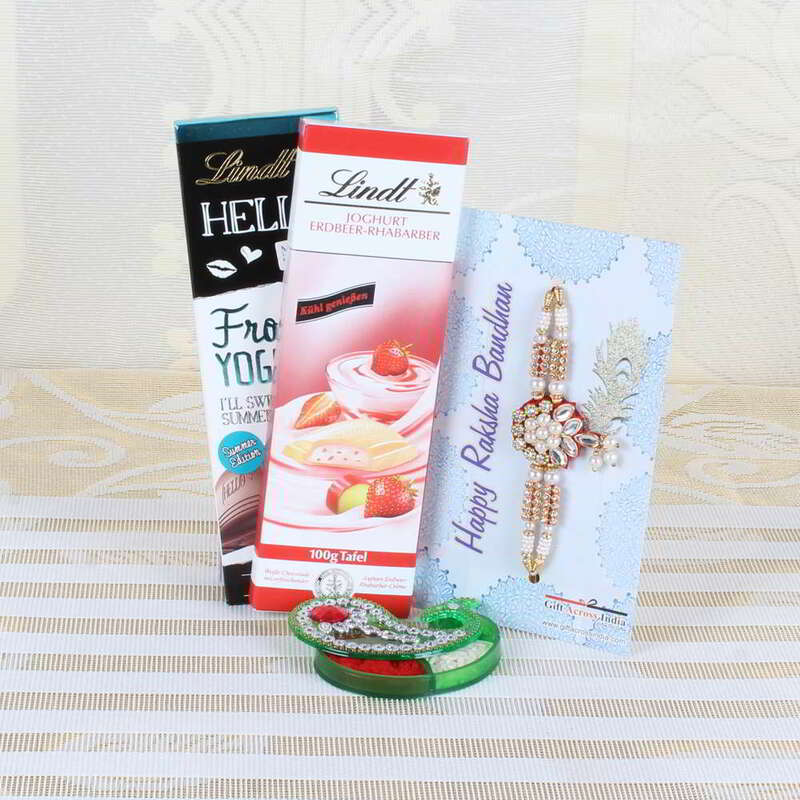 You can celebrate rakhi with chocolates instead of sweets by sending to your siblings. So, wish your dearest brother with this Rakhi. 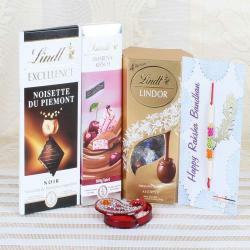 Product Consists of: Lindt Erdbeer-Rhabarber Chocolate (Weight: 100 gms), Lindt Hello Chocolate (Weight: 100 gms), Kundan Rakhi along with Roli Chawal Container.